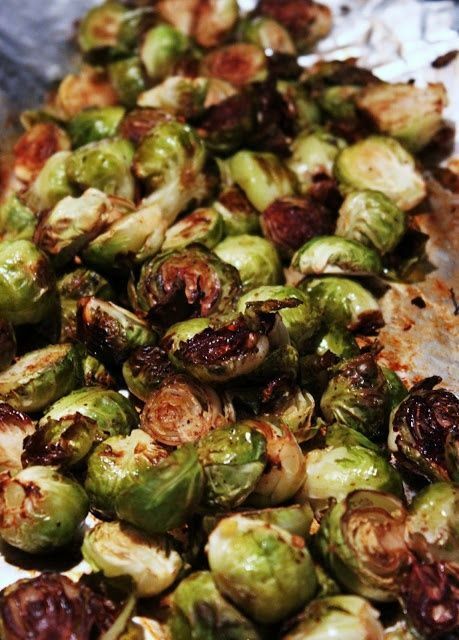 The trick to this recipe is getting the sprouts tender BEFORE you place them on the grill. If you try to throw Brussels sprouts directly onto the grill, uncooked, they’d end up too crunch on the inside and completely charred on the outside. Using the sous vide method is the perfect way to prep these green gems to be finished on the grill. Dovetaiing Tip: Cook an additional 1 1/2 pound brussels sprouts to use in Brussels Sprouts with bacon and walnuts on day 4. Preheat the Sous Vide 180F. Clean and trim your sprouts. Mix together the oil, garlic, salt and pepper in a small bowl. Place the sprouts into the sealable sous vide bag. Pour in the olive oil/garlic mixture. Vacuum seal the brussels sprouts and immerse into the water bath. Set the timer for an hour and walk away! When the hour is up, remove the sprouts and allow to cool until you can handle them. Steam the brussels sprouts until they're tender yet firm. While they're cooling, whisk the olive oil, garlic, salt and pepper together in a large bowl. Throw in your sprouts and toss them in the garlic/olive oil mixture. Heat your grill to medium heat. Thread the sprouts on bamboo skewers that have soaked in water at least 10 minutes. Place the sprouts on the heated grill and grill on each side for about 2-3 minutes.